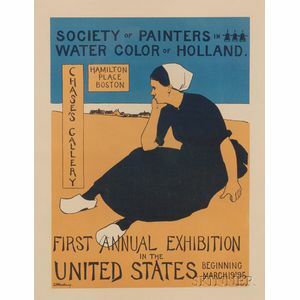 Society of Painters in Water Color of Holland Signed "CHWoodbury." in the matrix l.l., inscribed "Forbes Co." l.r. Color lithograph, sight size 22 x 17 in., framed. 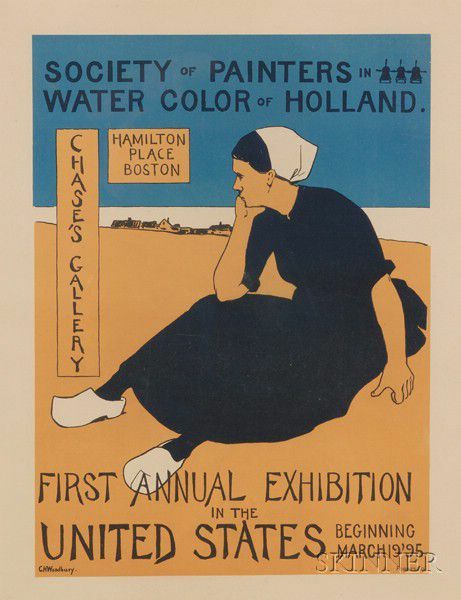 Charles Herbert Woodbury, The Netherlands, Society of Painters, Forbes Co.